Last week the Sundance Institute announced the showcase of independent feature films selected for the 2019 Sundance Film Festival. We are thrilled to share that four of the selections drawn from a record-breaking 14,259 submissions are ITVS co-productions. It&apos;s a milestone moment for ITVS. 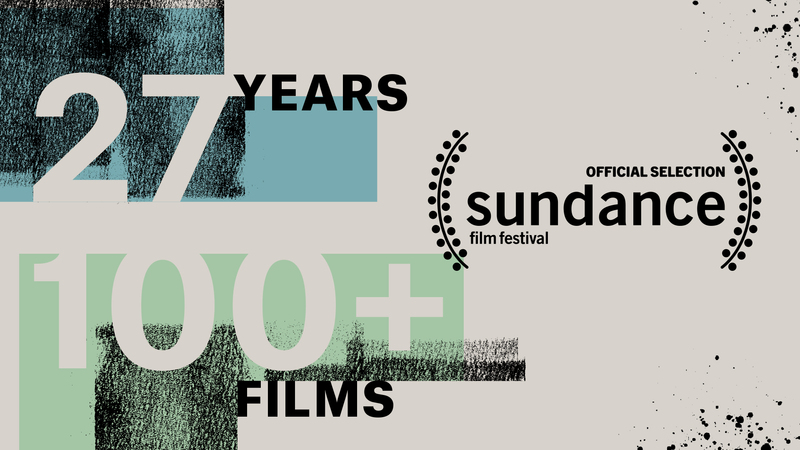 The 2019 festival entries mark 100 ITVS co-productions selected for Sundance in our 27 years of partnering with America&apos;s vital and vibrant indie filmmakers. Words from a Bear examines the enigmatic life and mind of Pulitzer Prize-winning writer Navarro Scott Momaday, one of Native America’s most celebrated authors of poetry and prose. Words from a Bear visually captures the essence of Momaday’s writings, relating each written line to his unique American experience representing ancestry, place, and oral history. Words from a Bear was co-produced with ITVS Series and Special Project funding in 2016. It will broadcast on American Masters on PBS. Haunted by the death of a mentally ill sister, psychiatrist Kenneth Rosenberg takes on the role of filmmaker to examine a national health crisis. Bedlam follows the poignant stories of people grappling with schizophrenia, bipolar disorder, and other chronic psychiatric conditions. Impossible to mask when untreated, their symptoms shove them into the path of police officers, ER doctors and nurses, lawyers, and prison guards. Shooting over the course of five years, Rosenberg takes us inside Los Angeles County’s overwhelmed and vastly under-resourced psych ER, a nearby jail warehousing thousands of psychiatric patients, and the homes — and homeless encampments — of people suffering from severe mental illness, where silence and shame often worsen the suffering. “The best part of my job is working with talented, professional filmmakers like Ken and Peter." said Shana Swanson, Supervising Producer for ITVS. "I am in awe of the depth of their commitment to making a difference in the mental health crisis in America." Bedlam was co-produced with ITVS Open Call funding in 2016. It will broadcast on Independent Lens on PBS. Blending observational footage with first-person testimonies and expert insights, Always in Season is the first documentary feature film to spotlight recent grassroots efforts to acknowledge the victims of lynching, repair the damage, and reconcile in four U.S. communities. "Jackie Olive has created this essential and timely project about the history of lynching in America through diligent research and unwavering commitment. All of us here at ITVS are immensely proud to have collaborated with Jackie on Always in Season. Working on projects like this with filmmakers like Jackie makes it easy for me to come to work every day," said Michael Ehrenzweig, Supervising Producer for ITVS. Always in Season was co-produced with ITVS Open Call funding in 2016 and will broadcast on Independent Lens. Midnight Traveler traces the Fazili family’s years-long, unpredictable journey out of Afghanistan and westward along one of Europe’s most notorious smuggling routes, with stops in refugee camps in Bulgaria, Serbia, and Hungary. Along the way, Hassan, wife Fatima, and their two young daughters document their interactions with other refugees, smugglers, and police, collecting diverse perspectives on the refugee experience. "Midnight Traveler was one of the most exciting projects I have been involved with at ITVS," said Michael Ehrenzweig, Supervising Producer. "Following filmmaker Hassan Fazili and his family on their treacherous journey from danger in Afghanistan to safety in Europe, working with producer Emilie Mahdavian here in the States, and now seeing their film premiere at Sundance, is an absolute thrill." Midnight Traveler was co-produced with ITVS Open Call in 2018. This historic moment is possible thanks to generous supporters at CPB and steadfast broadcast partner, PBS. As well our ongoing partnership with the National Minority Consortia. With distribution to POV, Frontline, and America Reframed, our films reach a wide public media audience. Be sure to follow us on Instagram, Facebook, and Twitter to be part of all the conversation, community, and snow flurries from Utah.